In the following Irish Times Article “Dramatic fall in number of buildings being started” by Frank McDonald on Monday 19th May 2014, the effect of the introduction of the new building regulations on construction activity since March 1st is discussed. In an earlier post “Commencement notices fall: BCAR SI.9” (click here) we noted the -74% nationwide decline in commencement notices as recorded by the Local Authorities Building Control Management System. Bureaucracy associated with the amended Building Regulations has led to a fall of almost three-quarters in the number of “commencement notices” for new building projects since they came into force on March 1st, it has been revealed. A total of 327 commencement notices were validated on the Building Control Management System during March and April, compared to an average of 1,242 on average for two months last year – indicating a 74 per cent drop in recorded building activity. The figures, compiled by the building regulations forum (BRegsBlog) on Twitter, come in the midst of a housing crisis and in the immediate aftermath of last week’s launch of the Government’s multipronged strategy to boost the construction industry. BRegsBlog, which has been closely monitoring implementation of the regulations, said preliminary numbers for the first half of May – with only 50 commencement notices validated by local authoriities – “suggest that this worrying trend will continue”. It conceded that there was a rush to beat the March 1st deadline, with the number of commencement notices in January and February equating to 70 per cent of the total for last year, and said this “may possibly” explain the latest figures. But it said “discrepancies are beginning to emerge” due to differing interpretations of what constitutes a valid commencement notice submission between the 34 local authorities and there was “little evidence” that this was being policed. 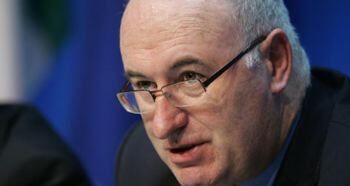 The Royal Institute of the Architects of Ireland urged Minister for the EnvironmentPhil Hogan to defer introducing the amended Building Regulations until it could be shown local authorities were properly geared up, but he declined the request. BRegsBlog complained that questions about how the system is now operating were “not being responded to” by the Building Control Management System, the Local Government Management Agency and the Department of the Environment. It noted a continuing “lack of clarity” over the status of the self-build housing sector, with “overwhelming evidence from the legal profession” that assigned certifiers such as architects or structural engineers were avoiding this area. This derived from “the reluctance of the three approved professional groups to take on the roles of assigned certifier on projects where they were not responsible for the preparation of the pre-construction designs, drawings and documentation”. Carlow-based architect Vivian Cummins said the figures showed the construction industry “is in crisis as a result of the recently introduced Building Control (Amendment) Regulations” and had been dealt a “potentially fatal knockout blow”. Mr Cummins blamed the department’s “sledgehammer” approach to sorting out previous problems in the industry with a raft of “speculative housing and apartment developments undertaken by cowboy contractors and developers”.